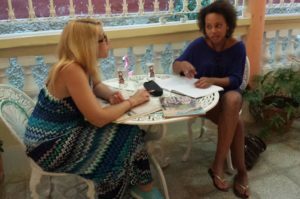 Spanish courses in Cuba are offered to people interested in improving the Spanish language or learning Spanish in Cuba. The courses are designed to receive clients who have any language level (A1, A2, B1, B2, C1.C2). To study Spanish in Havana you can choose between the different Spanish courses in Cuba that we put at your disposal. You can choose a Course of Private Spanish Lessons if you want to focus on the particular areas of the language that you feel you need more attention. Or you can choose a Spanish Course in a minigroup, if you are a person who likes to interact with other students and participate in group classes to learn Spanish in Cuba. You also can hire the hours of Spanish classes that are of interest to you. 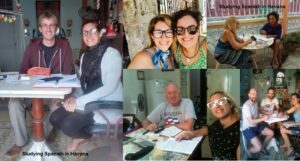 The week of Spanish classes in Cuba is constituted by 5 days (Monday, Tuesday, Wednesday, Thursday and Friday), the Spanish Courses in minigroups (maximum 3 people) begin every Monday. Private Spanish Lesson Courses (one student per teacher) can start the day of the week that you prefer. One hour of Spanish lessons equals 50 minutes. The program and your teacher are flexible to your individual interests and at your level. If you wish, you can combine the courses with each other to round out your learning. 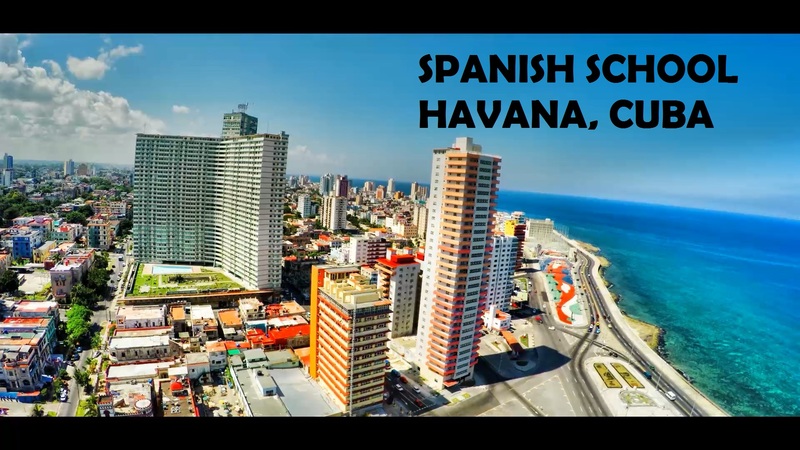 Go to this link: http://spanish-school-havana-cuba.com/en/contact-us-school/ to ask about your ideal Spanish course. With all the Spanish courses in Cuba you can book accommodation in Havana in private apartments or in a homestay with a Cuban family. The accommodations are located in safe and central areas of the city of Havana (Vedado, Plaza de la Revolución), in addition, all accommodations are located near the classrooms. Accommodations in Havana are available and comfortable for everyone, in case you travel with other adults or children. A level test that ensures that students are placed in the appropriate class. Spanish classes taught by qualified, kind and talented teachers. A comfortable accommodation that provides greater performance in learning. Course certificate upon completion of the Spanish Course. 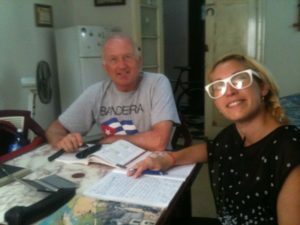 If you want to study Spanish in Havana and have not yet decided how many hours are necessary for you. Here you will find some proposals of Spanish Courses in Cuba that will help you to select the course of your interest. How to enroll in the courses? Registration to the courses is free of charge. You must contact us at least 4 days before starting the course. The tourist visa in Cuba is for 3 months, you must renew it once a month in the Emigration office. (We will personally help you obtain the extension of the tourist visa). Posted in Spanish School Havana and Tagged Business spanish, Cuba, Havana, Individual course, Individual spanish course, Learn spanish, learn spanish in Cuba, Private lessons, Spanish classes, spanish classes in Cuba, Spanish courses, spanish courses in Cuba, spanish lesson in Cuba, spanish lesson in Havana.